I decided to write this How To Earn Money Online Guide after answering so many questions about it in sites like Quora, Yahoo Answers and few other forums. This article is for those who have no experience in this subject. There are plenty of ways to do this without investing any money at all. But what you need to know is you are not going to earn $100s over night. It will take a while, at least three months to reach $100 per month level. Once you get there nothing can stop to reaching whatever your money goal depending on how hard you work and how solid your plan is. First you need to decide on how do you plan to earn money online. There are so many ways to do it. Some methods need a web site and some methods don’t. Some methods need an investment and some methods don’t. You have to choose the one works for you. Sometimes you have to test several methods before settling on the one works for you best. No matter whatever the method, if you really need to earn money fast then you have to work really hard spending as much as time you can spend for that. There are no real short cuts for these things. These are paid courses saying they will guide you through to earn 100s without working. Don’t count of those. If you want to earn money then you have to work hard. At least at begin. Once you reach to a level where you can invest money for out sourcing your tasks and also for things like paid traffic you will able to work less but till you get there it’s no easy task. So don’t quit from your day job thinking you will start earning money online by end of the same month. So, lets see what are those methods of earning money online. 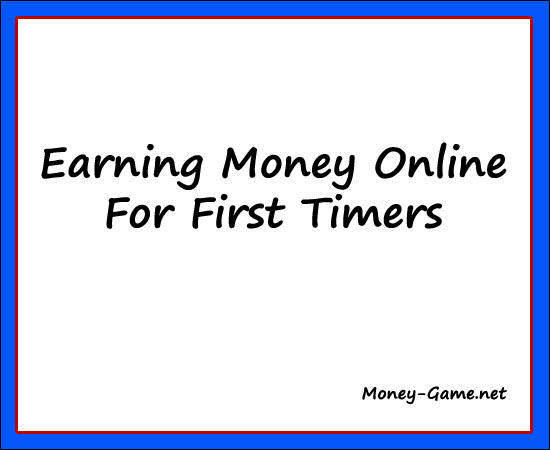 Now this is the most popular method of earning money online. But I wouldn’t recommend it for beginners. This is a great way to earn money but they are very strict with terms of service. One single mistake can cause an account ban and they don’t give second chances. Basically they put ads on your web pages and you get paid when visitors click through those ads. You must have a good web site for apply for the program. We all know Amazon online Store site. This is a great program for beginners. It’s not hard to enter their Affiliate program and if you do it right you will able to earn same or even more than from Google AdSense. You need to have your own site to apply for the program. Once they approve you then you can get various ad codes from the affiliate sections and add to your site. You can get ad code from any sales page and then put it in your site. If someone goto Amazon through your links and buy something, you get paid a commission from 4% – 9% depending on the items. Affiliate Networks are the sites work as go between your self and merchants who need advertisement space. These sites show you what various merchants offer you, then collect money from merchants and pay you. There are so many various methods they use such as Pay per Action, Pay per Sale, Pay per Lead etc. Few really good examples are Peerfly and MaxBounty, CPAGrip etc. Getting approved by popular affiliate networks is bit hard. They don’t need you to show you a website but usually like to know about your experienced in industry.